Municipal arboriculture is a specialized field of arboriculture and urban forestry that deals with the management of planted and naturally occuring greenspaces on public land in communities. It involves planning, planting, establishing, protecting, and managing public trees and associated vegetation. 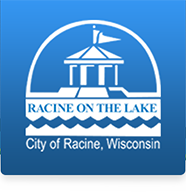 Racine's Forestry Division manages the planting, pruning, removal and other maintenance needs of an estimated 33,000 tree sites located along 260 miles of streets. These street trees provide approximately $2,843,769 in benefits per year in the form of energy savings, avoided and sequestered carbon, air quality benefits, stormwater runoff reduction, and aesthetic and other benefits. In addition, the Division is responsible for 7,000 trees located in managed/mowed portions parks, cemeteries, golf courses, and on other City-owned property such as Wustum Museum and the Racine Zoo. Forestry staff are trained to follow rigid safety standards. Whether planting a new tree or cleaning up after a major wind storm, the safety of the workers, the public and property are never compromised. If you have a question or concern regarding a community tree, please contact the Parks, Recreation, and Cultural Services Department at 636-9131. Please note that we only deliver to properties located east of Highway 45 in Racine County and that there is a $75.00 delivery fee (Plus $3.83 Tax). In addition, there is a limited amount of wood available each year - please contact our department at 262.636.9131 prior to sending your application and payment to ensure that we are currently accepting requests. We are only able to deliver to properties located east of the Interstate in Racine County. Delivery is on a first-come, first-serve basis as chips are available.